At Carleton, you can structure your BA according to what you want to achieve. You can pursue an intensive Honours degree or a General program. You can choose a minor subject to complement your major subject and you can, in certain cases, pursue a concentration or a specialization—a set of courses directed towards a designated area of expertise. If you are interested in two fields of study, you may be able to pursue them in a combined program. In our BA programs, you are given plenty of opportunity to hone your research, writing and presentation skills—skills that are all highly valued by future employers. Many programs also offer work-study options including co-op and field placements. What makes Carleton’s BA program special? We offer a variety of options that makes our BA ideal for students wishing to expand both their intellectual horizons and their range of potential career paths: First-year Seminars (FYSMs) get you away from lecture halls and into small classes with fewer than 30 students; and the BA Undeclared option allows you to explore your academic options and find your own path in your first year. 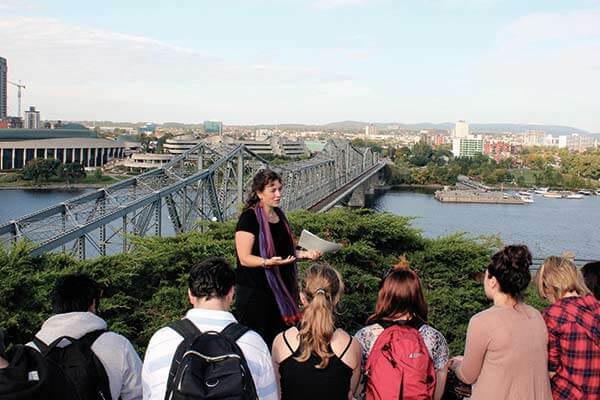 Students who would like to gain French language skills can add a Minor in French or, in some BA programs, earn the notation Mention : Français by completing part of their course requirements in French and by demonstrating a knowledge of the history and culture of French Canada.